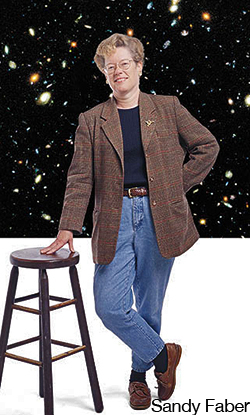 Join world-renowned astronomers for an end-of-summer picnic on Mt. Hamilton! Event begins with outdoor catered BBQ (with vegetarian options) and live 1970s music from Silicon Valley's Dr. West. 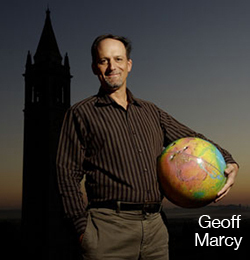 Mingle, chat, and ask your cosmic questions of UC astronomy professors Alex Filippenko, Geoff Marcy, and Sandra Faber. 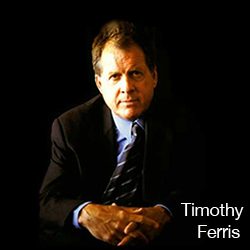 UC professor emeritus Timothy Ferris, author of a dozen books and producer of three PBS documentary films will also be joining us to chat and answer questions. 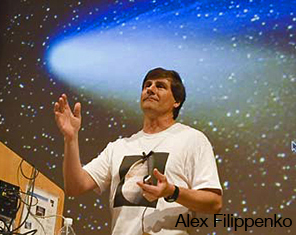 Come and hobnob with the "best popular science writer in the English language!" Later we'll move indoors to enjoy the classical guitar duo Equilibrium (watch video here), followed by talks by Ferris, Filippenko, Marcy, and Faber about the universe. Finally, view the night sky through the Great Lick Refractor and Nickel reflecting telescope. Lick Observatory is located on the summit of Mt. Hamilton in the Diablo Range east of San Jose. To get there from Hwys 101, 280, or 680, take the Alum Rock Avenue exit from Interstate 680. Go east onto Alum Rock Avenue. Turn right onto Mt. Hamilton Road (California Route 130). Allow about one hour from San Jose, and please drive carefully as the road is good, but winding. From the east, take Interstate 580 west to Interstate 680 south. Then follow the directions above. Alternatively, you may take take California Route 130 to Mt. Hamilton from the east, but please allow about 1-3/4 hours from Interstate 5 to reach the Observatory. The road is long and winding, but well-maintained. Take the Diablo Grande Parkway exit off Interstate 5, heading west (away from Patterson). Take the first right on Puerto del Canyon Road (toward Frank Raines Park). Look carefully for this turn because there is not much signage. At the Junction Cafe, turn left to stay on California Route 130. Keep in mind that at 4209 feet, evenings on Mt. Hamilton can be cool, so bring a sweater or coat. We provide wheelchair access to the lectures and to the 36-inch telescope, but not to the Nickel telescope. There is no gas station at the Observatory. Parking is limited so please car pool, if possible.